For the past couple of weeks I have been doing a lot of self learning. I describe self learning as learning outside of a formal school environment. It's a rather vague description, but let's just go with that for now. So I've been taking a course on Machine Learning, taking some OCW classes and also just reading the plain old textbooks to beef up my knowledge on certain topics that I find interesting and also crucial to my career as an Electrical Engineer. I'm particularly investing quite a decent amount of time on making certain that my knowledge on Maxwell's Equations is pretty solid, since they are like fundamental equations when it comes to the Electrical Engineering field - but let's save that as a story for another day. I think one of the most important things that a person needs to learn about themselves is what are the best conditions that enable them to learn. For instance, some people probably feel they learn best with the impending doom of an exam. I personally am not a fan of exams. They totally stress me out. Therefore, I like to study when I have complete freedom and there is no teacher breathing down my neck. So learning on my own terms is the best way for me to acquire knowledge. Thus the past couple of months have kind of lead me to a couple of revelations about how learning occurs, at least as far as I'm concerned. The first thing that you have to do before you start learning something, is you have to be in the right mindset. If you go into a study session - let's just call it that - reluctantly, you will most probably end up wasting your time and probably get into the whole 'reading the same sentence over and over again' problem and gain absolutely nothing. So first things first, you've got to clear your head and say I absolutely want to learn this. Learning takes purpose. Now one pitfall we often fall into is when we are reading a chapter, we tend to gauge ourselves by how fast we've read the chapter. You know, you're talking to a friend and they're like I read like 3 chapters last night. While that's all good and everything, the true question is how much of those 3 chapters did you actually understand? When reading a chapter, you actually have to be very patient with yourself. You have to make sure that whatever it is that you are reading, is actually getting assimilated into your body of knowledge. When reading a chapter and you come across a concept that doesn't lend itself easily to you, you actually have to stop and figure it out. This is actually the opportunity for you to learn. The thing is, if you invest your time in learning this particular concept, the next time you are revising, it will lend itself easily to you and it will be totally worth it. When learning, you have to do the whole learning process in chunks and over a period of time. Learning isn't like reading a novel. You need time to assimilate new material into your brain. This step is usually a hard step because most of us like to procrastinate, but it is very important to spread out your learning sessions. The payoff will be in hindsight, trust me. Now this next learning tip is for I guess more mathematical based topics, but you have really learnt a topic until you have done problem sets in that topic. You know, you read about integration techniques, that's fine, but until you do problem sets, you haven't fully learned. The beauty and purpose of problem sets is that they allow you to see certain areas that you aren't good at, and you can also figure out patterns to solving problems in more efficient ways. But it doesn't have to be problem sets, it can be applying that knowledge in some particular way, I guess in programming maybe you should write a programme using the techniques to be learnt. Or you can even write about it. 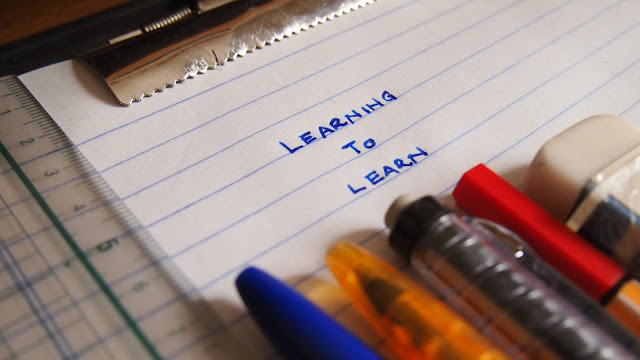 The thing is try to put that newly acquired knowledge to some particular practice because the thing about learning is that if you do not practise, it tends to just ebb away. The one final tip that I would suggest is that if you want to study for an extended period of time, and actually learn stuff. You have to take multiple breaks. You could use the pomodoro technique which is just about having 4 study sessions of 25 minutes length with 5 minute breaks in between and at the end of the fourth session giving yourself a 15 minute break then you repeat. The reason for taking breaks is that if you don't you can easily burn out. And when you burn out you really can't do much work. Also you need to know the optimum time for you to learn, when is your brain clearest. That is the time you should learn the most challenging topics. Once your brain reaches its tired phase, that is possibly a good time to do things like assignments or problem sets. This is because you've already done the hard work of learning, and now you are just trying to solidify the knowledge in your brain. Now the final final tip that I have is that, I have found the best way to actually get working is not to distract myself before I start my study session. Do not cheat yourself with the lies of, "Oh, let me watch one episode of this show then start my learning process." No, resist that with all your might. That is just the devil talking. If you are going to watch an episode of whatever watch it after your studying, let it be a reward. All in all, studying/learning isn't easy. But it requires some serious discipline. That's why we call some people smart. They are not smart, they have just mastered the art of learning and the discipline that comes along with it. Thing is, the benefits of learning something are typically not as immediate as you'd like them to be, but they are totally worthwhile in the long run. Always think about the long run.